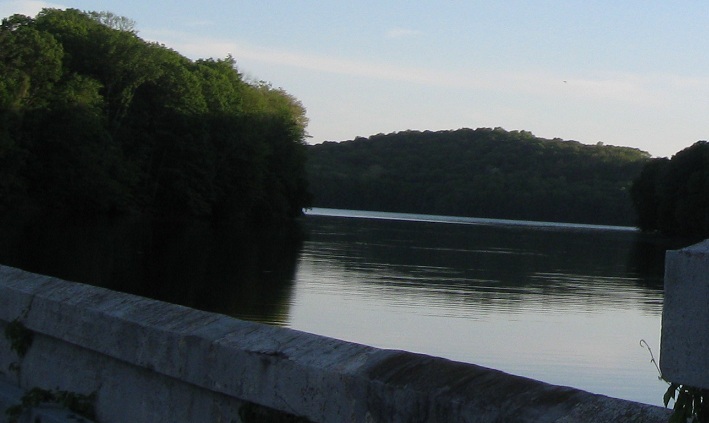 SB across the northeast corner of the Cross River Reservoir. 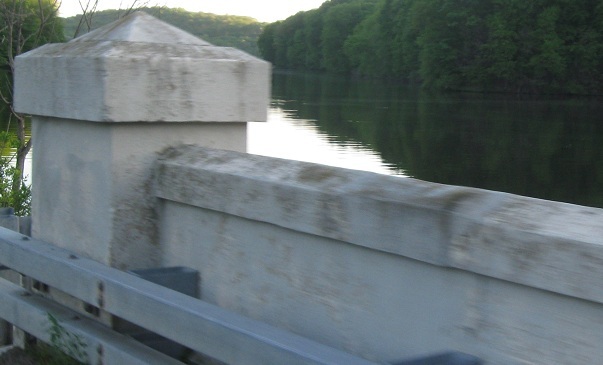 Notice the old warning stripes remaining on the bridge parapets. 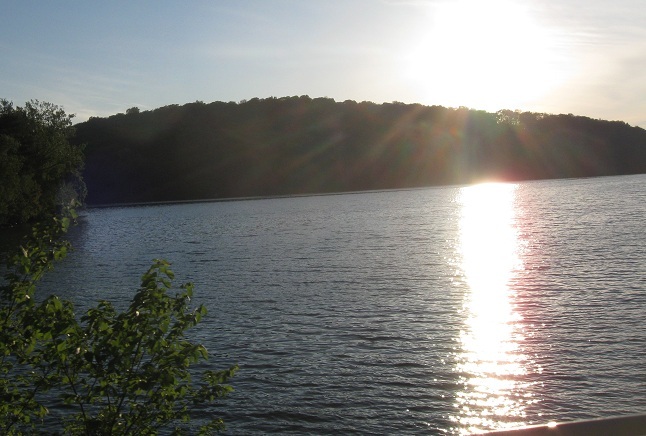 Continuing south along the reservoir, looking west into the setting sun and east into the southeast corner. NB leaving NY 35 and the end of NY 138 EB, captured in 1969 by Michael Summa. 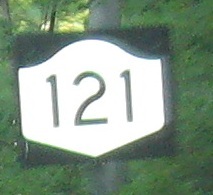 The embossed shields may well date to the 1920s when routes were first signed, especially in the case of the second 124 with embedded cats'-eyes. 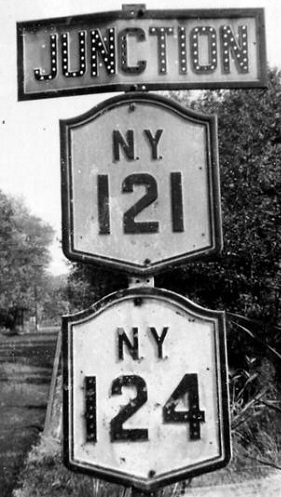 Back then, NYSDOT cared enough to make its new shields replicas of the older ones, although that "new" NY 124 still has the block font that dates it to the 1940s at latest. Is nothing sacred? 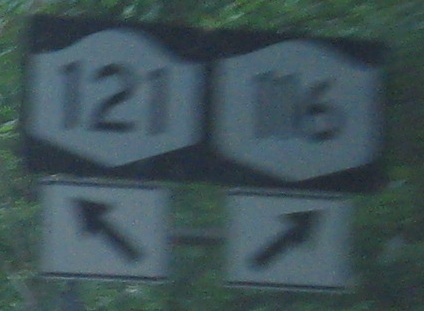 NY 121 has abandoned all hope of recapturing the proper shields it once knew. The first photo is on June Rd. 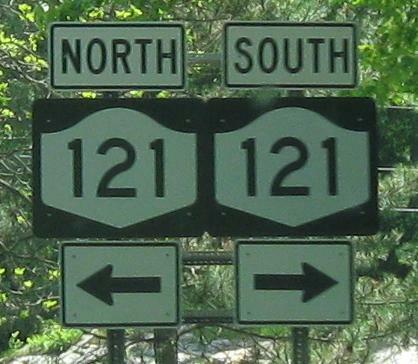 SB and the second is on NY 121 SB.